For the past 50 years, Fontile Kitchen & Bath has been exclusively representing world leaders in tiles, kitchens and baths, bringing innovative products from all over Europe to the Lower Mainland. Fontile offers a diverse range of unique products including porcelain and ceramic tiles, stone, and glass mosaics along with kitchen and bathroom cabinetry, faucets and sinks. Our unique products and knowledgeable staff will allow you to realize your dream home! You will be delighted with the value and quality that Fontile's product will add to your project. We invite you to visit our showroom to experience our complete range of product lines. $100 OFF Countertop or Cabinet Purchase! We pride ourselves in providing customers with excellent service and product quality. We treat every installation with the utmost care and expertise, as if we were installing in our own home. For over 24 years SSC Countertops has proven to the industry that when it comes to custom countertops we produce nothing but the best. Our stone and solid surface is cut and polished with the highest grade Italian CNC machinery. This insures that the customer gets a product that doesn’t just fit right but also looks stunning down to the finest details. Currently run by both Chris and his son, Quinn, SSC has focused solely on the mastery of custom countertop fabrication and installation, employing the latest technologies and adapting to the newest products as they appear in the countertop market. SSC's mission is to deliver a finished product of the utmost quality to each of our customers, all the while providing premiere customer service to clients throughout Vancouver and the Lower Mainland. 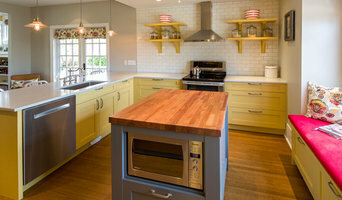 Sticking to its roots as a family owned and operated business, the SSC team members have become experts in residential kitchen countertops, but has also made a large commercial footprint in Vancouver and the Lower Mainland. New Leaf Tile provides our residential clients with top quality service. Specializing in tile & stone installation, call us today to install and design your next renovation project. Specializing in Residential and Commercial Tile installations. Our goal is simple, to build long term relationships with our clients, contractors and home owners alike, to provide an exceptional experience. Specializing in residential & commercial tile installations, our goal is simple- to build long term relationships with our clients, contractors & home owners, to provide an exceptional experience. For over 24 years SSC Countertops has proven to the industry that when it comes to custom countertops, we produce nothing but the best. We make sure your countertops don't go unnoticed. At Key Tile CO., our goal is not only to help your project come to reality, but to make the process easy and enjoyable for you. We are a full-service tile & stone installation and sales company with a wide range of experience. We can help you with all phases of tile installations to your new home construction, remodeling, renovation, or any commercial projects in the Greater Vancouver Area. We also do full bathroom and kitchen renovations! Here are just some of the award winning architects and designers we work for: The Airey Group EYCO Building Group Enviable Designs Inc. Hungerford Interior Design Margot Jagger Design LC Construction Evoke International Design Inc Alda Pereira Design Inc.
GL Stone and Tile is one of the fastest growing tile companies in British Columbia's home improvement scene. Initially, our company started out with a mission to provide trendsetting mosaic tiles to the Vancouver market, and since then we have successfully grown to serve all of Canada and the continental United States. We design many of our own tiles, specializing in leading designs of quality glass, natural stone, ceramic, porcelain, and precious metal mosaic tiles. What makes us one-of-a-kind, is our exclusive, customizable 2D and 3D tile designs. Our partnership with some of the best overseas manufacturers allows us to work directly with designers, builders, architects, and retailers, to customize tile designs, exclusively made and special to each residential and commercial project our clients are involved in. We are proud to provide personal, and tailored customer service with prompt response. We continually strive to keep our tile collection current, unique, and at competitive pricing. Our focus is to carry more innovation with efficient, and quality customer service, while expanding our line of exclusive tile designs you won't find anywhere else. If you are in the Metro Vancouver area please drop by and visit our newly expanded showroom in Richmond at #125, 13431 Maycrest Way. For over 35 years World Mosaic (BC) has been providing some of the world’s finest tile & stone. From glass mosaic to handmade ceramic and porcelain tile, we continue to pride ourselves on high quality and impeccable style. Whether you have residential or commercial requirements, World Mosaic has something to suit all needs and budgets. 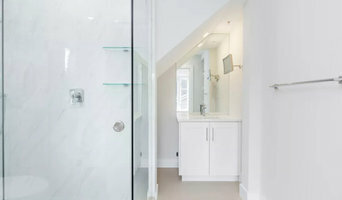 Creekside Tile Company carries a variety of tile, stone, and glass products from British Columbia and around the world. Creekside Tile imports direct from Mexican, European, Chinese, Indian, Thai and Japanese manufacturers. It is our mission to source unique and creative products that represent exceptional innovation and style with a commitment to quality products. All this provided by unparalleled customer service at competitive prices. Established in 1978, Julian Tile has grown to be one of the top Tile Wholesale-Tile Distributors in Western Canada, employing over 60 people. Our Head Office and main warehouse is located in Langley, B.C., with branch offices and warehouses in Burnaby, Edmonton, Calgary, Winnipeg. and Seattle (Statements Tile). The Julian Collection includes a huge selection of ceramic, porcelain and natural stone tiles from around the world. Our buyers travel to every corner of the globe searching for products distinguished enough to enter the Julian Collection. That means we can stand behind the quality and beauty of every tile, border, insert, accent and slab in our collection. We have been there, we have inspected the factories and the quarries and we know that every item in the Julian Collection is of the finest quality. That is a guarantee of excellence you can count on. Cohen Installation is a commercial and residential tile and stone company that focuses on excellent service, innovation, and sustainability. We are experts at working within a budget, meeting unique stylistic needs, and sourcing the right products to suit the job. Established in 2006 by Ami Cohen, Cohen Installation is experienced in all areas of installation, including building code compliance, exterior and interior waterproofing, in-floor heating systems, and interior design. Cohen Installation is distinguished by its fresh approach and thorough understanding of the many different installation techniques that characterize the industry. As a result, we are often contracted to repair jobs that were not completed properly by other companies. Our team of knowledgeable, creative and skilled professionals delivers outstanding value for service, while also reducing the environmental footprint of each job through responsible disposal and repurposing. By offering continuous consultation throughout each project, Cohen Installation is able to understand the clients’ vision from start to finish and provide the ultimate in customer satisfaction. No project is too big or too small for Cohen installation. We love what we do and enjoy taking on new challenges, as well as working on more traditional projects. With so many materials available today, there are endless creative possibilities. It would be our pleasure to help you realize your dreams in tile and stone! Huard Marble and Tile Ltd.
We offer a full complement of stone & tile restoration, maintenance, and installation services. Whether you need a new installation, or simply would like your existing stone or tile cleaned, sealed, polished or otherwise repaired, our fantastic crew is here to take care of you! Tile, stone and countertop projects might not sound especially complicated, but they can be surprisingly hard to get right. Seeking expert assistance can help homeowners save time, money and frustration. Contractors who specialize in this field are trained to install and repair tile and stone surfaces in your Richmond home, from flooring to backsplashes, as well as countertop materials such as solid surface, granite and marble. If it involves tile, stone or another countertop material, odds are this pro can tackle the job. With comprehensive knowledge of which surfaces will work best in various locations within the home, British Columbia tile, stone and countertop contractors can help you select the ideal material for the intended application. Some focus on kitchens and bathrooms, while others handle outdoor projects, such as walkways. In addition to basic surfaces, many Richmond, BC tile, stone and countertop contractors can create and install murals and mosaics, as well as add decorative edge treatments to countertops. They also repair or replace surfaces in the event of chips, cracks, stains or other damage. Many tile, stone and countertop professionals also install shower pans, radiant-heat flooring systems and other common components of surfacing jobs, often working in tandem with Richmond, BC plumbers or other professionals. Here are some related professionals and vendors to complement the work of tile, stone & countertops: Interior Designers & Decorators, Architects & Building Designers, General Contractors, Kitchen & Bath Designers, Design-Build Firms. Find a tile, stone and countertop contractor on Houzz. 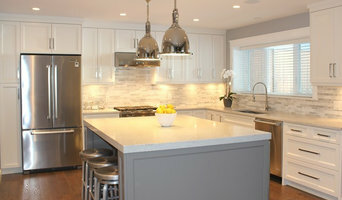 Narrow your search in the Professionals section of the website to Richmond, BC tile, stone and countertops. 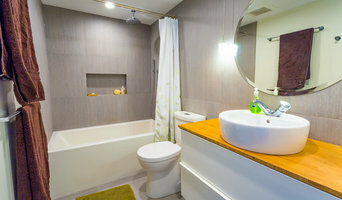 You can also look through Richmond, BC photos to find tile, stone and countertop projects you like, then contact the contractor who worked on it.